Tom's practice covers a broad range of commercial subjects. His clients are involved in many different businesses and professions. While a significant number of Tom’s clients are involved with real estate, real estate finance and real estate development, many of Tom's clients are involved with the health care industry. Tom's clients in the real estate area include the leading single family and multi-family mortgage lenders in the State as well as a number of Indiana's most successful commercial real estate owners and developers. 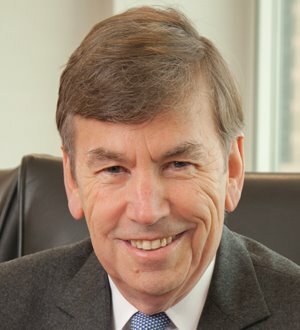 Tom has been involved extensively with the impact of Dodd Frank on commercial banking and mortgage banking. Tom has given webinars on this subject and will continue to be involved in the implementation of the regulations. Tom is recognized as an expert on real estate finance and has a great deal of experience with Federal and State mortgage licensing and regulation. He has represented the Indiana Mortgage Bankers Association for over thirty years, drafting some of the most important Indiana mortgage lending statutes. He was the first recipient of the Distinguished Service Award presented by the Indiana Mortgage Bankers Association and is a frequent speaker on real estate finance issues. Tom represents mortgage banking companies across the country, so his mortgage banking practice is national in scope. Tom often is called upon to advise out of state borrowers and lenders on Indiana law and Tom also has extensive experience in construction issues and the resolution of business and financial disputes.